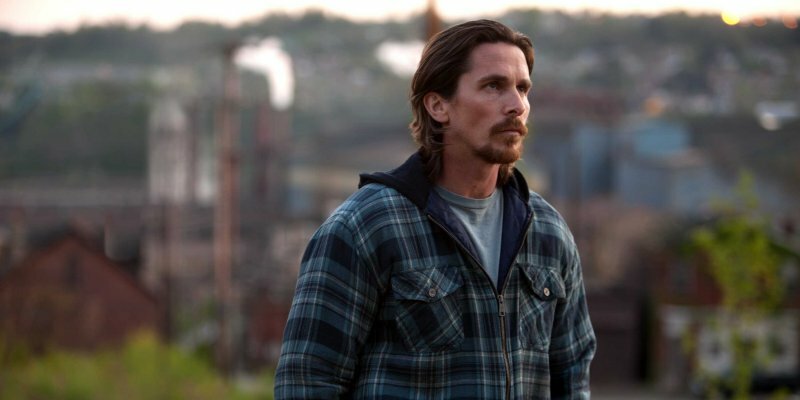 On paper, Out of the Furnace looks like it should be an Oscar contender all the way. The pedigree is all there. With producers who include Leo DiCaprio (Appian Way) and Ridley Scott (Scott Free), the film is written and directed by Crazy Heart’s Scott Cooper and features six Oscar-nominated actors (two winners): Christian Bale, Woody Harrelson, Casey Affleck, Sam Shepard, Forest Whitaker and Willem Dafoe. Not surprisingly, in terms of production, almost every area of execution was impeccable. And yet, when the screen went to black I was left with a confounding sense of apathy. It was obvious that the film was made with a great deal of passion and forethought, so where did it fall short? Russel Baze is a blue collar man trying nobly to keep his family together. He is supporting his terminally ill father with the help of his uncle (Shepard) and struggling to keep up his relationship with his girlfriend (Zoe Saldana), all while working a dead-end job at steel mill (thats soon to be outsourced to Asia) in an effort to keep his Iraq war veteran younger brother Rodney (Affleck) out of debt from that guy across town (Harrelson) who “has a problem with everybody.” Eventually (almost an entire hour into the film), Rodney has problems with that guy across town and winds up dead in a not so shocking turn of events. Thus the revenge of Russel Baze ensues. Sort of. It’s here that Out of the Furnace stumbles. At its heart, Free’s film is simply a revenge flick. But it doesn’t seem that either of the writers were willing to settle with that. On its own terms, such refusal could be a virtue, an attempt to expand a story beyond its traditional bounds and really make a meaningful revenge flick. But the meaningfulness never sticks. I did leave with an even greater appreciation for every single film Liam Neeson has made in the last decade, and at the same time I was a bit stymied at how the heck Tarantino has gotten me to care about all of his revenge flicks. I certainly wanted to care about this one. But instead of a heart-rendingly passionate, genre-expanding tale of the cost of taking justice into one’s own hands, Out of the Furnace instead proves just another waste of high-caliber talent wasted in an ineffectively average story.